The template 100% responsive ready (compatible all mobile devices), retina display ready, modern browsers (IE9+, Firefox, Safari, FireFox, Chrome etc.) support, easy to use html files and color schemes with custom.css file. Build your own marketplace site with tons of options and sections. 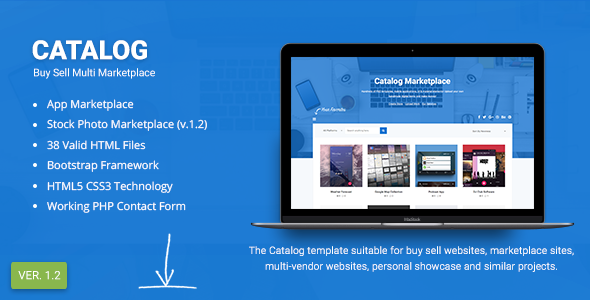 The Catalog template comes with all membership pages for example; edit profile, upload item, sale report, downloads and message pages (with single), bbPress style support forum page, mega menu and dropdown menu support.